Wales wing Hallam Amos returns to the starting line-up as Dragons face Ulster Rugby in the Guinness PRO14 at Rodney Parade on Sunday (kick-off 3pm). Amos is one of nine changes as Head Coach Ceri Jones looks to secure a victory in the final game of the season in Newport. 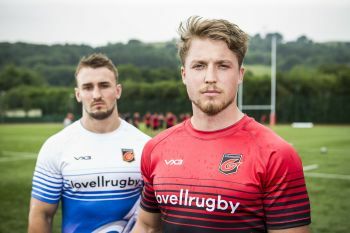 A new-look back line sees Josh Lewis return at fly half while Jordan Williams is named at full back and Dafydd Howells will play on the wing. The midfield will see Jarryd Sage and Adam Warren join forces. Three changes in the pack see call-ups for lock Joe Davies and back row duo Taine Basham and Huw Taylor. Harri Keddie moves to Number Eight. A changed bench includes Leon Brown, after his release from the Welsh national squad, while Josh Reynolds, Lennon Greggains and Max Williams and fit-again Tavis Knoyle are all named. “We’ve had a really good look at the make-up of the side because there are a lot of players vying for positions and some didn’t perform in Italy and they know that,” said Jones. “The video review we did was tough and we need to learn from last week quickly and move forward. “Over the last two months the performances have been of a certain level, with the exception of Clermont, which I have been pleased with. But I wasn’t pleased with last week and we have addressed it. On the challenge of Ulster, Jones added: “They are very powerful and scored three driving maul tries against Zebre last week. That is an area we have been strong in, but we recognise the threat from them. CLICK HERE to secure your tickets for the Dragons final home game in Newport this season as Ulster come to Rodney Parade for the Guinness PRO14 clash on Sunday (kick-off 3pm).